Due to these rules the logistic company ACRIS LOGOSTIC managed to become one of the leading logistic centers in Ukraine for only some years. It is one of the key moments of our logistic center work. Correctly created and adjusted chain of the goods flow to the consumer is the guarantee of stability and prosperity of any manufacturing company. Our extensive contacts within the country and abroad allows to create the most effective combinations of logistic chain, which each link is reliable and repeatedly checked. Perhaps, it is the most difficult and responsible part of our work. We need to get going all the elements of goods flow system so that they successfully cooperated and worked stably, without failures. 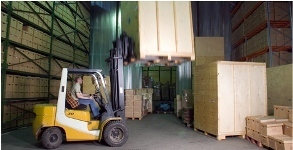 In our logistic center we know how to motivate people to work with feeling and correctly. 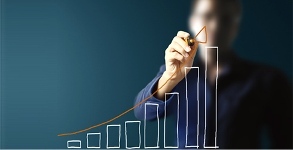 Our pride and a secret of the successful project implementation is perfectly organized sales network which we constantly develop and reinforce. Without this smoothly system, it would be impossible to implement large projects stably and successfully. Big warehouse areas of different types are located in Zhitomir, Novograd-Volynsk, Lutsk. Here we provided for our clients spacious, modernly equipped storing rooms, consignment warehouses, special warehouses with different environmental conditions, for the most careful and long warehousing. 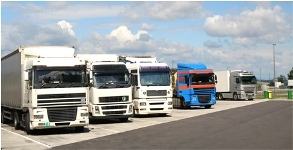 You can read about our warehousing in more details here. Own vehicle fleet and transport capacities of the logistic company ACRIS LOGOSTIC allow to transport any cargoes, including perishable goods in the territory of Ukraine. We offer our clients one considerable advantage ‒ fast cargo delivery throughout the whole branched-out network of our partners, even to the remote corners of our country. The sound and accurately adjusted system of all these structures interaction offered by the logistic company ACRIS LOGOSTIC is the secret of our business longevity and success. (0412) 42-84-84 or email: iceteam@mail.ru.